They rent skates and offer lessons. You can spin and dance around during open skate or ask about their schedule for a pick up hockey game (if you have the right gear and are a semi decent skater). 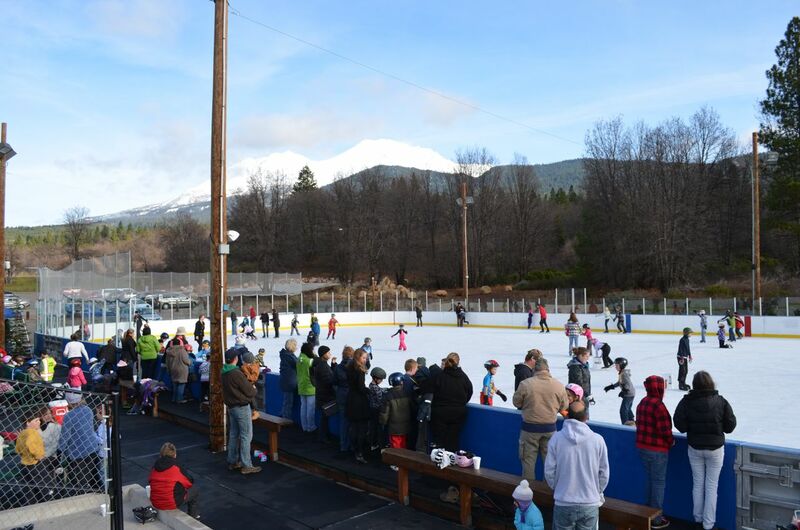 The ice rink is located at Shastice Park in Mt. Shasta City. If you are interested in a more rustic experience, hit the local thrift store, find a pair of skates close to your size and head up to Castle Lake, Heart Lake or Cliff Lake. 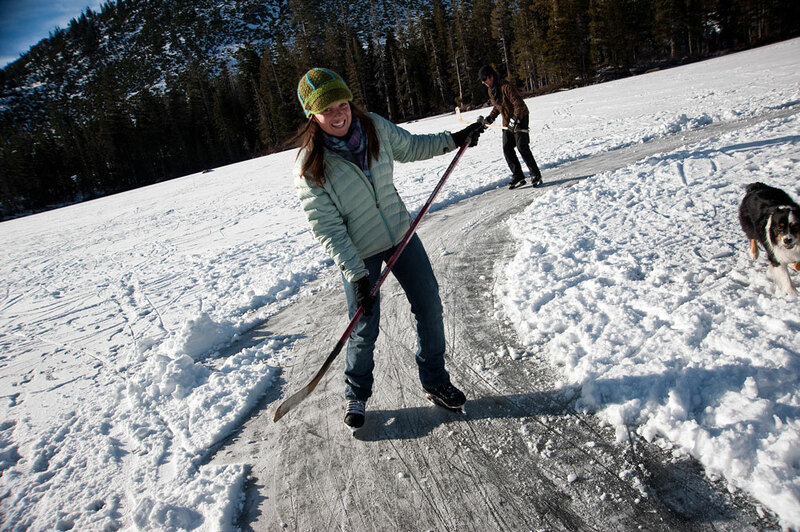 Locals will often remove snow from these high elevation lakes for some good, free fun. Make sure the ice is solid before you venture out.